"Royal Anthem" redirects here. For the racehorse, see Royal Anthem (horse). The honors music for a person, office or rank is music played on formal or ceremonial occasions in the presence of the person, office-holder, or rank-holder, especially by a military band. The head of state in many countries is honored with a prescribed piece of music; in some countries the national anthem serves this purpose, while others have a separate royal, presidential, or, historically, imperial anthem. Other officials may also have anthems, such as the vice-regal salute in several Commonwealth realms for the Governor-General, Governor, or Lieutenant Governor. Ruffles and flourishes may be played instead of, or preceding, honors music. Countries where the national anthem is also the royal anthem include Jamaica, Malaysia, the Netherlands, Norfolk Island, Spain, the United Kingdom, Jordan, Brunei and Cambodia. Additionally, the royal anthems of both Denmark and New Zealand have co-official status as national anthem along with a separate national anthem. Antigua and Barbuda Monarch "God Save the Queen"
Australia Monarch "God Save the Queen"
Other Royal Family members "God Save the Queen" First six bars only. Governor-General, Governors Vice-regal salute The first and last four bars of "Advance Australia Fair", the national anthem. Austria President "Österreich, du herrliches Land" Also the anthem of the Austrian Armed Forces. Brazil President "Continências ao Presidente da República" Introduction and final chords of the Brazilian National Anthem. Only applicable at military ceremonies. Canada Monarch, consort "God Save the Queen" For a pipe band, "Mallorca" is played instead. Other Royal Family members The first six bars of "God Save the Queen" For a pipe band, "Mallorca" is played instead. Governor General, Lieutenant Governors "Salute to the Governor General/Lieutenant Governor", commonly called the Vice Regal Salute The first six bars of "God Save the Queen" immediately followed by the first four and last four bars of "O Canada", the national anthem. For a pipe band, a combination of "Mallorca" and "O Canada" is played instead. Colombia President "Honores al Presidente de la Republica"
If the President attends an event hosted by only either of the 3 service branches of the Military Forces of Colombia or the National Police, the Introduction and Chorus of the National Anthem are played first followed by the introduction of the specific service anthem. Denmark Monarch "Kong Christian stod ved højen mast" "King Christian stood by the lofty mast". Also one of the two national anthems, the other being "Der er et yndigt land"
Ecuador President "Honores al Presidente de la Republica"
Vice President "Honores al Vicepresidente de la Republica"
Estonia Commander-in-Chief of the Estonian Defence Forces (normally the President) "Björneborgarnas marsch/Porilaisten marssi" "March of the Pori Regiment"/"March of the Björneborgers"
Finland Commander-in-Chief of the Finnish Defence Forces (normally the President) "Björneborgarnas marsch/Porilaisten marssi" "March of the Pori Regiment"/"March of the Björneborgers"
Haiti President "Quand nos Aïeux brisèrent leurs entraves"
(Chant Nationale) "When Our Fathers Broke Their Chains" (also known as the National Hymn). Poem by Oswald Durand, set to music by Occide Jeanty in 1893 to serve as a national anthem; replaced by "La Dessalinienne" in 1904. Taoiseach "Mór Chluana" / "Amhrán Dóchais" "Mór Chluana" ("More of Cloyne") is a traditional air collected by Patrick Weston Joyce in 1873. "Amhrán Dóchais" ("Song of Hope") is a poem written by Osborn Bergin in 1913 and set to the air. John A. Costello chose the air as his salute. Though the salute is often called "Amhrán Dóchais", Brian Ó Cuív argues "Mór Chluana" is the correct title. Malaysia Raja Permaisuri Agong; Yang di-Pertua Negeri Abridged version of the National Anthem Consisting of first and last sections. Played before the relevant state's anthem if the salute is for the Yang di-Pertua Negeri. State monarchs Short version of "Negaraku" (the national anthem) Consisting of last section. Played after the relevant state's anthem. Only may be played if the state monarch present representing the King. Netherlands Members of the Royal House; Governor of the Netherlands Antilles and Governor of Aruba "Het Wilhelmus" The national anthem. Various officials not entitled to "Het Wilhelmus". [fn 1] "De Jonge Prins van Friesland"  Ministers used the national anthem till Queen Beatrix objected in 1986. New Zealand Monarch "God Save the Queen" Also one of two national anthems, the other being "God Defend New Zealand"
Governor-General "Salute to the Governor-General" The first six bars of "God Save the Queen" The anthem may also be played in full. Norway Monarch "Kongesangen" "The King's Song"; an adaptation of "God Save the Queen" and set to the same tune. (Presidential salute music) 1. The word mabuhay means "long live". The song, with music by Tirso Cruz, Sr and English lyrics by American James King Steele, was written c. 1935–40. Played to announce the arrival of the President during major events, minus the four ruffles and flourishes. 2. An older version was played until 2010. A new version (with lyrics in Filipino, composed by former PSG Band Conductor Maj. Xavier Celestal) debuted in 2011 and is used in all events of the Armed Forces of the Philippines, the Philippine National Police and the Philippine Coast Guard when the President is present. It is preceded by four ruffles and flourishes, and is often performed with a 21-gun salute (military events only). Portugal President "A Portuguesa" The national anthem. Ministers and Secretaries of State "Hino da Maria da Fonte"
Romania President "Marș triumfal [ro]" Played in the presence of the President and during state visits by foreign high officials. Russia President "Glory" (A Life for the Tsar) Played during the inauguration of the President. President "Президентская Фанфара" ("Presidential Fanfare") Played as welcoming signal for the President. Singapore President "Abridged version of Majulah Singapura" First six bars only, played during state visits by foreign heads of state. If during major national events the anthem is played in full. Slovenia Commander-in-Chief of the Slovenian Armed Forces (normally the President) "Naprej, zastava slave" "Forward, Flag of Glory"
Spain Monarch "La Marcha Real"
Princess of Asturias Short version of "La Marcha Real" Played without the repeated bars. Sweden Monarch "Kungssången" "The King's Song"
Thailand Monarch "Sansoen Phra Barami" "The song of glorifying His Majesty's prestige". Former national anthem, still played before shows in cinemas and theatres and during all major events when the King and Queen are present. King "Sadudee Jom Racha" "Hymn to the Righteous King". Used for the ceremonies related to King Vajiralongkorn. Other situations "Maha Roek" "Grand Auspice". Mainly used for the arrival of senior government officials and for inagurations. It is also used as the General Salute Music of the Royal Thai Armed Forces. United States President "Hail to the Chief"
Various officials[fn 2] "Honors March 1" 32-bar medley of "Stars and Stripes Forever"
Army officers ranked major general and higher "General's March" "Honors March 2"
Navy officers ranked rear admiral and higher "Admiral's March" "Honors March 3"
Air Force, Marine Corps, and Coast Guard officers ranked major general and higher "Flag Officer's March" "Honors March 4"
Kingdom of Afghanistan Monarch "Shahe ghajur-o-mehrabane ma" ("Our Brave and Dear King") Used from 1943 until the abolition of the monarchy in 1973. Principality of Albania/Albanian Kingdom Monarch "Himni i Flamurit"
("Hymn to the Flag") The royal anthem until the abolition of the monarchy in 1943, now the national anthem. Austrian Empire/Austria-Hungary Monarch "Gott erhalte Franz den Kaiser"
("God Save Emperor Francis") Used with updated words for later Emperors until the abolition of the monarchy in 1918. Kingdom of Bavaria Monarch "Königsstrophe"
("King's Stanza") An earlier version of the current state anthem glorifying the King. Empire of Brazil Monarch "Hino da Independência"
("Hymn of Independence") Used between 1822 and 1831. The current national anthem was used for the rest of the empire's existence. Kingdom of Bulgaria Monarch "Anthem of His Majesty the Tsar" Royal anthem until 1944. Empire of China (1915–16) Emperor Yuan Shikai "Zhong guo xiong li yu zhou jian"
Ethiopian Empire House of Solomon "Ityopp'ya Hoy"
Kingdom of Egypt Muhammad Ali Dynasty "Salam Affandina"
Kingdom of France (c.1590–1789 & 1815–48) King of France and Navarre "Marche Henri IV"
Kingdom of France (1791–92) King of France and Navarre "La Nation, la Loi, le Roi"
First French Empire (1804–15) Napoleon I, Napoleon II "Chant du Départ"
Second French Empire (1852–70) Napoleon III "Partant pour la Syrie"
Nazi Germany Führer "Badonviller Marsch"
Kingdom of Greece Monarch "Ὕμνος εἰς τὴν Ἐλευθερίαν"
("Hymn to Liberty") The royal anthem until the abolition of the monarchy in 1974, now the national anthem. Iran (Qajar) Shah "Salamati-ye Shah"
Iran (Pahlavi) Shah "Sorood-e Shahanshahi Iran"
Kingdom of Iraq Monarch "Es Salam al-Malaky"
Irish Free State Governor-General "The Soldier's Song" (1929–32); none (1932–36) Monarchy in the Irish Free State was a requirement of the Anglo-Irish Treaty resented by nationalists. While unionists felt that "God Save the King" was appropriate anthem for the King's Irish representative, the 1927–32 government decreed that the Governor-General should leave any function at which it was played. The 1933–37 government eliminated all ceremonial honours before abolishing the position entirely. Kingdom of Italy Monarch "S'hymnu sardu nationale"
("Inno Sardo Nazionale") Used until the abolition of the monarchy in 1946. Korean Empire Monarch "Daehan Jeguk Aegukga"
Kingdom of Laos Monarch "Pheng Xat Lao" An earlier version of the current national anthem. Kingdom of Libya King Idris "Libya, Libya, Libya" This anthem was readopted by the National Transitional Council in 2011, as the national anthem, with the verse glorifying King Idris omitted. Kingdom of Madagascar Monarch "Andriamanitra ô"
("O Lord") Glorifies the Malagasy sovereign. Principality of Montenegro/Kingdom of Montenegro Monarch "Ubavoj nam Crnoj Gori"
("To our Beautiful Montenegro") Glorifies the Prince/King. Kingdom of Nepal Monarch "Rastriya Gaan"
("May Glory Crown our Illustrious Sovereign") Used between 1962 and 2006. From the nineteenth century, a new imperial anthem was usually composed for each Sultan. Kingdom of Portugal Monarch "O Hino da Carta"
("Hymn to the Charter") Used from 1834 until the abolition of the monarchy in 1910. Prussia/German Empire King of Prussia/German Emperor "Heil dir im Siegerkranz"
Kingdom of Romania Monarch "Trăiască Regele"
Russian Empire Monarch "Боже, Царя храни"
("God Save The Tsar!") The national anthem until the abolition of monarchy—still used by some descendants of white émigrés. Principality of Serbia/Kingdom of Serbia Monarch "Bože pravde"
("Lord of Justice") An earlier version of the current national anthem glorifying the Prince/King. Union of South Africa Monarch "God Save the Queen"
Sweden Gustav III "Gustafs skål"
("God Save The King") Based on the British anthem, and with an identical melody. Kingdom of Tunisia Monarch "Salam al-Bey"
Empire of Vietnam Monarch "Đăng đàn cung"
Kingdom of Yemen Monarch "Salam al-Malaky"
("Royal Salute") No official words. Kingdom of Yugoslavia Monarch "National Anthem of the Kingdom of Yugoslavia"
Sultanate of Zanzibar Monarch "March for the Sultan of Zanzibar" No words. ^ Members of the Dutch Cabinet, Netherlands Antilles Cabinet, or Aruba Cabinet; senior Dutch military officers; Secretaries General of NATO, of the UN, and of the EU Council; EU foreign and security High Representative. (In the absence of persons entitled to the anthem). ^ "National Anthem". Jamaica: King's House. Retrieved 2012-02-25. ^ a b c d "Act 390: National Anthem Act 1968; Incorporating all amendments up to 1 January 2006" (PDF). Malaysia: Commissioner of Law Revision. 2006. Retrieved 2 October 2011. ^ a b c "DP 20-10, Ceremonieel & Protocol; Hoofdstuk 8 Muzikaal eerbetoon". Ministeriële & Defensie Publicaties (in Dutch). Netherlands: Ministry of Defence. §§2,5,10. Archived from the original on 25 April 2012. Retrieved 23 October 2011. ^ a b c "16.3 Australian national anthem". Protocol Guidelines. Department of Foreign Affairs and Trade (Australia). Retrieved 2009-03-11. ^ "¿Sabías que "La Marcha de Ituzaingó" es un atributo presidencial como la banda y el bastón?" (3 December 2015). La Nación. 3 December 2015. Retrieved 19 December 2015. ^ a b c "Honours and salutes: Musical salute". Ceremonial and Canadian Symbols Promotion. Canadian Heritage. 2008-12-11. Retrieved 2009-03-11. ^ Victor, A.J. "Haitian Patriotic Songs". ayitihistory.com. Retrieved 2009-03-11. ^ "National Anthem". Department of the Taoiseach. Retrieved 2009-03-11. ^ "P. W. Joyce: Ancient Irish Music » 47 - Mór Chluana". Na Píobairí Uilleann. Retrieved 3 February 2014. ^ a b "Joyce, Patrick Weston (1827–1914)". Ainm.ie (in Irish). Cló Iar-Chonnacht. Retrieved 3 February 2014. ^ a b c Ó Cuív, Brian (2010-04-01). "Irish language and literature, 1845-1921". In W. E. Vaughan (ed.). Ireland Under the Union, 1870-1921. A New History of Ireland. VI. Oxford University Press. p. 425. ISBN 9780199583744. Retrieved 3 February 2014. ^ "Amhrán Dóchais". Library. Ireland: Contemporary Music Centre. Retrieved 3 February 2014. ^ Hoedeman, Jan; Theo Koelé (5 June 2004). "Beatrix: 'Het Wilhelmus is van mij'". De Volkskrant (in Dutch). Retrieved 23 October 2011. ^ a b c "Protocol for using New Zealand's National Anthems". Ministry for Culture and Heritage (New Zealand). Retrieved 2009-03-11. ^ "Instructions for Playing the Anthem". Encyclopaedia of New Zealand. Ministry for Culture and Heritage (New Zealand). 1966. If the first six bars only are used, as for a salute to the Governor-General as the Queen's representative, the anthem is to be played "fortissimo" at M.M. 60 crotchets. ^ Quezon, Manuel L. (2004-06-24). "The Long view". Philippine Daily Inquirer. Retrieved 2009-03-11. ^ a b Walsh, Thomas P. (2013). Tin Pan Alley and the Philippines: American Songs of War and Love, 1898-1946 : a Resource Guide. Rowman & Littlefield. pp. 271–273. ISBN 9780810886087. Retrieved 6 January 2014. ^ Rutnin, Mattani Mojdara (1993). Dance, drama, and theatre in Thailand: the process of development and modernization. Tokyo: Centre for East Asian Cultural Studies for Unesco, the Toyo Bunko. p. 132. ISBN 978-4-89656-107-4. Retrieved 7 March 2012. ^ "หลักเกณฑ์การใช้เพลง "สดุดีจอมราชา"" (PDF) (in Thai). Office of the Prime Minister. 2018-07-23. Retrieved 2019-03-02. ^ "A collection of Thai anthems" (in Thai). Thailand: Office of Public Relations. Archived from the original on 25 June 2006. Retrieved 7 March 2012. ; "A collection of Thai anthems". Thailand: Office of Public Relations. Archived from the original on 24 June 2006. Retrieved 7 March 2012. ^ TAWAT HUAHIN SUDDEE ข้างเขา หัวหิน (6 February 2012). "มหาฤกษ์ Combination RTA Band". Retrieved 19 April 2018 – via YouTube. ^ a b c d e f "Army Regulation 600–25: Salutes, Honors, and Visits of Courtesy" (PDF). U.S. Department of the Army. 2004-09-24. pp. 5–6, Table 2-1. Retrieved 2009-03-11. ^ "China Resumes Control of Hong Kong, Concluding 156 Years of British Rule". www.nytimes.com. Retrieved 19 April 2018. ^ Morris, Ewan (May 1998). "'God Save the King' Versus 'The Soldier's Song': The 1929 Trinity College National Anthem Dispute and the Politics of the Irish Free State". Irish Historical Studies. 31 (121): 72–90. JSTOR 30007063. ^ Bogdanor, Vernon (1997). The Monarchy and the Constitution. Oxford University Press. p. 282. ISBN 9780198293347. Retrieved 7 January 2014. "God Save the Queen" is the national or royal anthem in a number of Commonwealth realms, their territories, and the British Crown dependencies. 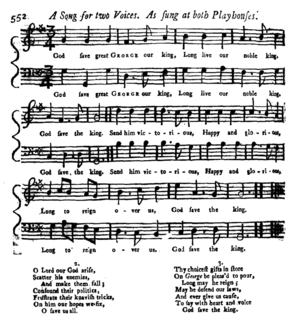 The author of the tune is unknown, and it may originate in plainchant; but an attribution to the composer John Bull is sometimes made. A salute is a gesture or other action used to display respect. Salutes are primarily associated with armed forces, but other organizations and civilians also use salutes. Remembrance Day is a memorial day observed in Commonwealth member states since the end of the First World War to remember the members of their armed forces who have died in the line of duty. Following a tradition inaugurated by King George V in 1919, the day is also marked by war remembrances in many non-Commonwealth countries. Remembrance Day is observed on 11 November in most countries to recall the end of hostilities of First World War on that date in 1918. Hostilities formally ended "at the 11th hour of the 11th day of the 11th month", in accordance with the armistice signed by representatives of Germany and the Entente between 5:12 and 5:20 that morning. The First World War officially ended with the signing of the Treaty of Versailles on 28 June 1919. A state visit is a formal visit by a head of state to a foreign country, at the invitation of the head of state of that foreign country, with the latter also acting as the official host for the duration of the state visit. Speaking for the host, it is generally called a state reception. State visits are considered to be the highest expression of friendly bilateral relations between two sovereign states, and are in general characterised by an emphasis on official public ceremonies. A 21-gun salute is the most commonly recognized of the customary gun salutes that are performed by the firing of cannons or artillery as a military honor. Half-mast refers to a flag flying on a ship and half-staff refers to a flag flying below the summit on a pole on land or on a building. In many countries this is seen as a symbol of respect, mourning, distress, or, in some cases, a salute. Flags are said to be half-mast if flown from ships and half-staff if on land, although this distinction is mainly observed in the United States – places like Canada and the United Kingdom do not have ‘half-staff’ in their vocabulary and rely solely on using the term ‘half-mast’ when ordering flags to fly lowered. The Governor-General of New Zealand is the viceregal representative of the monarch of New Zealand, currently Queen Elizabeth II. As the Queen is concurrently the monarch of 15 other Commonwealth realms, and lives in the United Kingdom, she, on the advice of her Prime Minister of New Zealand, appoints a governor-general to carry out her constitutional and ceremonial duties within the Realm of New Zealand. The Department of the Prime Minister and Cabinet (DPMC) is the central public service department of New Zealand charged with providing support and advice to the Governor-General, the Prime Minister and members of the Cabinet of New Zealand. The department is also charged with centrally leading New Zealand's "national security planning, which includes civil defence." The Government of New Zealand, or New Zealand Government, is the administrative complex through which authority is exercised in New Zealand. As in most parliamentary democracies, the term "Government" refers chiefly to the executive branch, and more specifically to the collective ministry directing the executive. Based on the principle of responsible government, it operates within the framework that "the Queen reigns, but the government rules, so long as it has the support of the House of Representatives". The following outline is provided as an overview of and topical guide to the Netherlands. 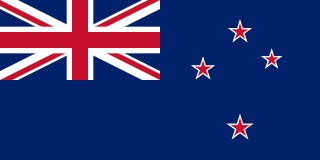 "God Defend New Zealand" is one of two national anthems of New Zealand, the other being "God Save the Queen". Legally the two have equal status, but "God Defend New Zealand" is more commonly used. Originally written as a poem, it was set to music as part of a competition in 1876. Over the years its popularity increased, and it was eventually named the second national anthem in 1977. It has English and Māori lyrics, with slightly different meanings. Since the late 1990s, the usual practice when performed in public is to perform the first verse of the national anthem twice, first in Māori and then in English. A loyal toast is a salute given to the head of state of the country in which a formal gathering is being given, or by expatriates of that country, whether or not the particular head of state is present. It is usually a matter of protocol at state and military occasions, and a display of patriotic sentiment at civilian events. The toast is usually initiated and recited by the host before being repeated by the assembled guests in unison; the composition varying between regions and types of gathering. There is sometimes a tradition of smashing a glass used for a loyal toast, so that no lesser toast can be made with it. "Amhrán na bhFiann", called "The Soldier's Song" in English, is Ireland's national anthem. The music was composed by Peadar Kearney and Patrick Heeney, the original English lyrics by Kearney, and the Irish-language translation, now usually heard, by Liam Ó Rinn. The song has three verses, but only the choral refrain has been officially designated the national anthem. Negaraku is the national anthem of Malaysia. It was selected as a national anthem at the time of the Federation of Malaya's independence from Britain in 1957. 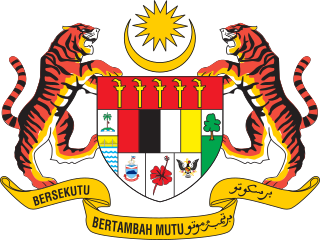 The tune was originally used as the state anthem of Perak, which was adopted from a popular French melody titled "La Rosalie" composed by the lyricist Pierre-Jean de Béranger.